Pixels are typically associated with digital formats. 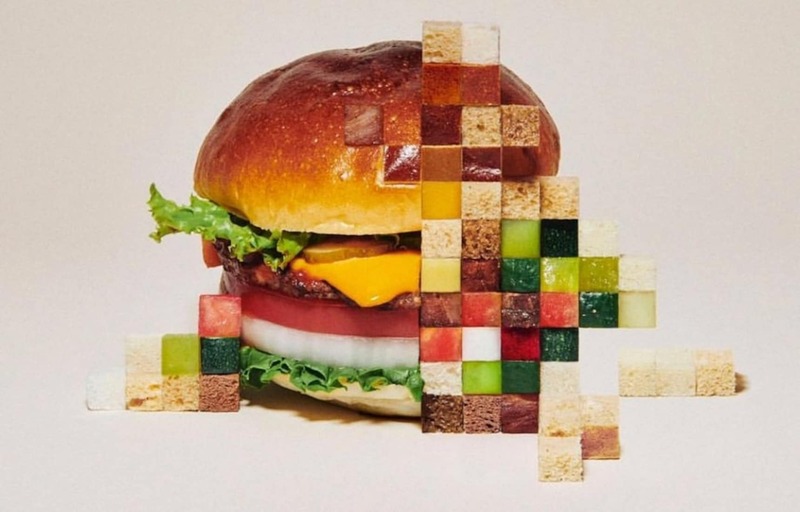 But in a recent series, Japanese Creative Director Yuni Yoshida turns that thinking inside-out, using real food and analog techniques of cutting and stacking to create patches of “pixelations” in her staged compositions of food. Yoshida has a penchant for incorporating food into her creative and visually arresting compositions. 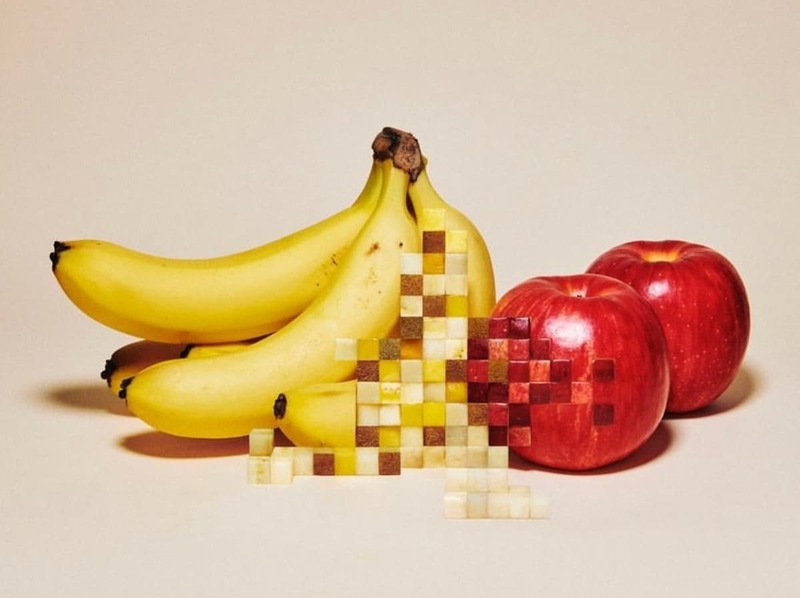 This series of pixelated foods, created by meticulously cutting squares out of foods and then rearranging them, were produced for a zine she published earlier this year called “Layered.” It was on display and for sale at an annual exhibition called Mother of Design in which artists and creatives are invited to produce of zine in which they are given complete creative freedom. To see more of Yoshida's meticulous, visually arresting work, read the full article from our friends at Spoon & Tamago via the link below.